I haven't bought anything from Topshop Boutique for a while and I've had this dress niggling in the back on my mind for a few weeks now. I don't typically like long dresses or florals, but there was something about this that kept me coming back to it. I tried it on today while I was in Topshop after I had a consultation for a haircut and though... well I'll try it on. Tried it on and hot footed it over to the till. I can't quite put my finger on why I like this dress so much. It's so dramatically different from all the other things I own but it fits so smoothly into my usual wardrobe. I love that it's made out of silk so it feels absolutely beautiful to wear. 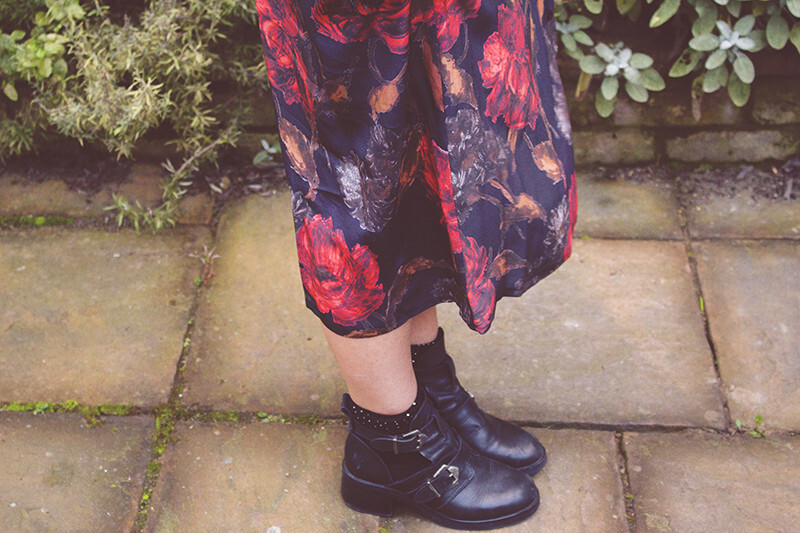 It's something I can definitely wear into the summer despite being quite winter floral-y. Just stunning. I'm in love with the Topshop dress, I wish I suited dresses that length! 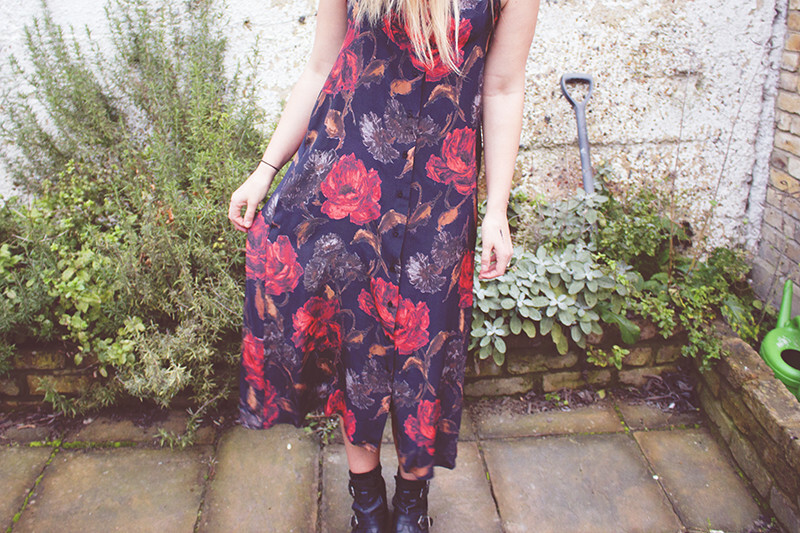 Well this isnt just any old floral dress, what a beaut and right decision to buy! Love the look, so cute ! wow, really cool! maxidresses looks so good on you! Love the floral dress, stunning! love the coat and hat! Love the dress! It's quite a different style for you but it's good to branch out every once in a while, plus it looks amazing! Awesome. I really like your jacket and bag. Great style! A bit vintage soul post I liked! 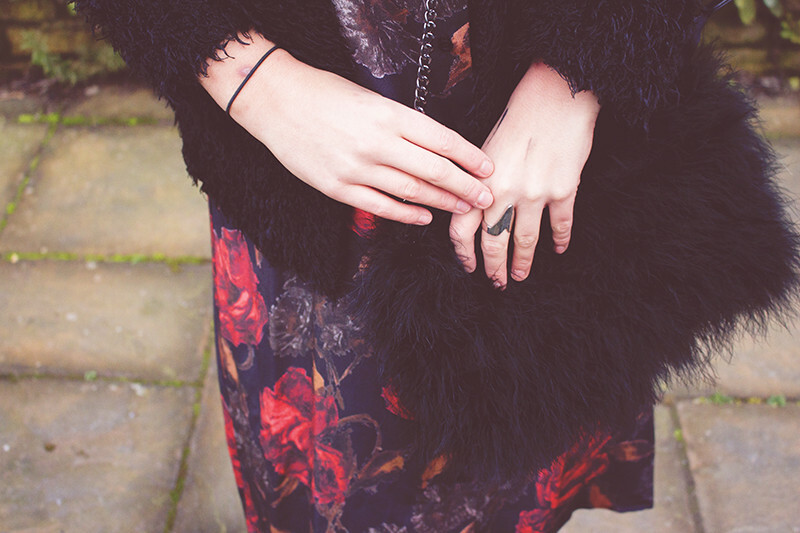 I love Topshop Boutique's latest collection drop, the floral prints are just perfect. I love this look, it's so pretty though at £90, I think I may have to pass on the dress. You look absolutely divine though!